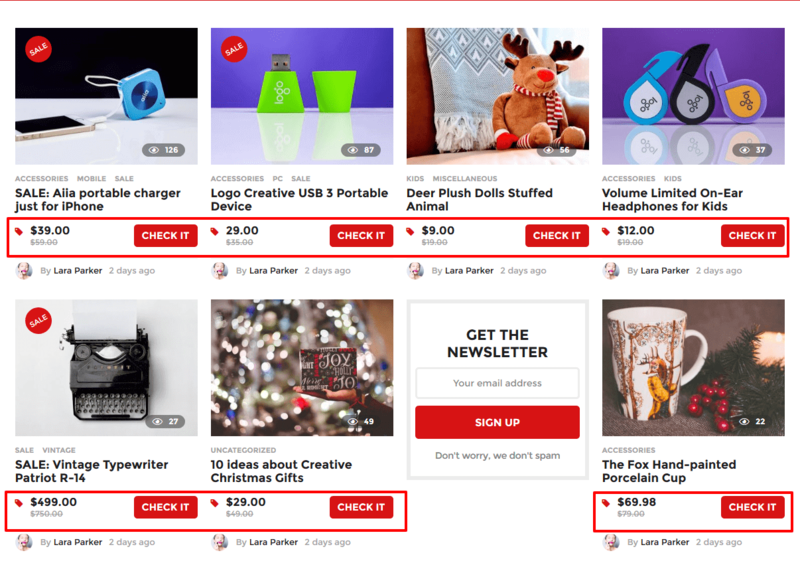 This feature allow you to create your own list of products and earn money with affiliate programs. 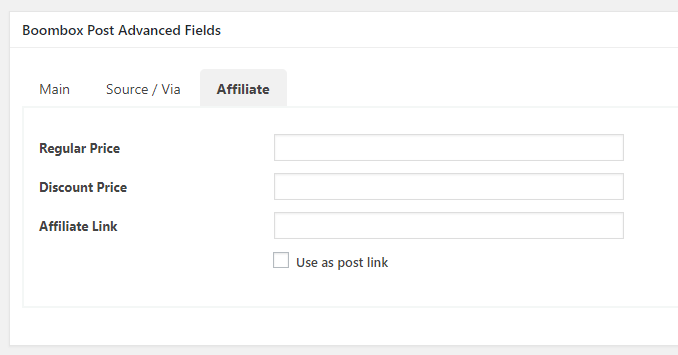 To create affiliate post you need to open “Boombox Post Advanced Fields” and add link under the Affiliate tab. Please note: Boombox theme doesn’t support yet any function for grabbing any information from the linked page: image, content and doesn’t create featured image automatically via using the affiliate link.